The chair of the VHCA graffiti task force is recognizing new VaHi business WellStreet Urgent Care for contributing to the effort to fight graffiti in the neighborhood. 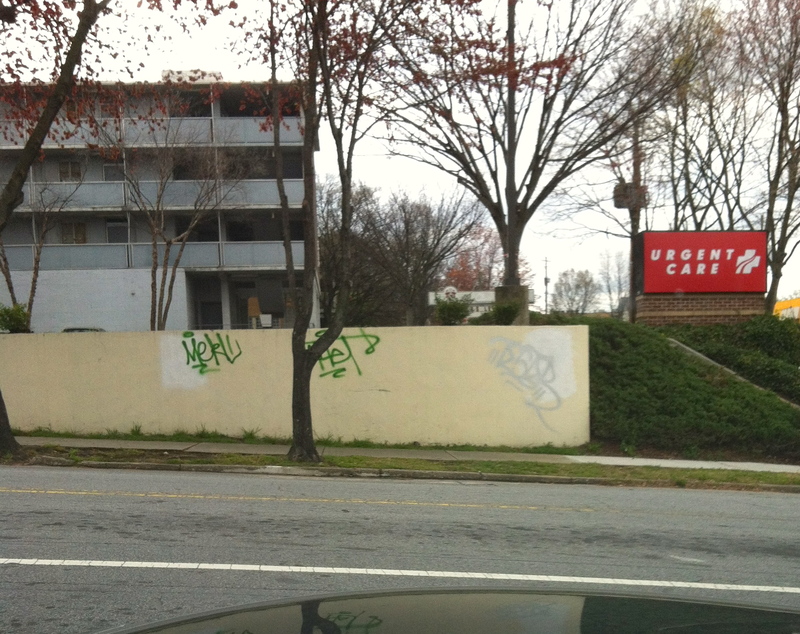 “This is a huge shout-out to WellStreet located at the corner of Ponce and Barnett (in the old Blockbuster building) for getting rid of the graffiti tags on the retaining wall abutting their property,” says task force chair Laura Voisinet. 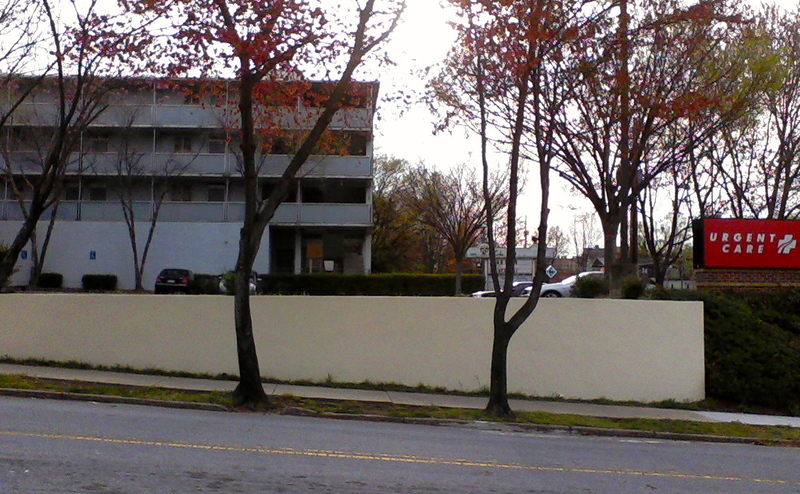 Scroll down to see before and after pictures of the retaining wall. Welcome to the neighborhood, WellStreet Urgent Care! 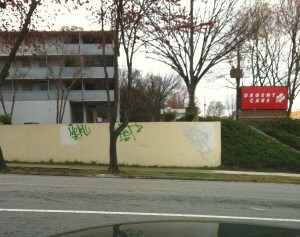 This entry was posted in news and tagged 2013, graffiti by John Becker. Bookmark the permalink.